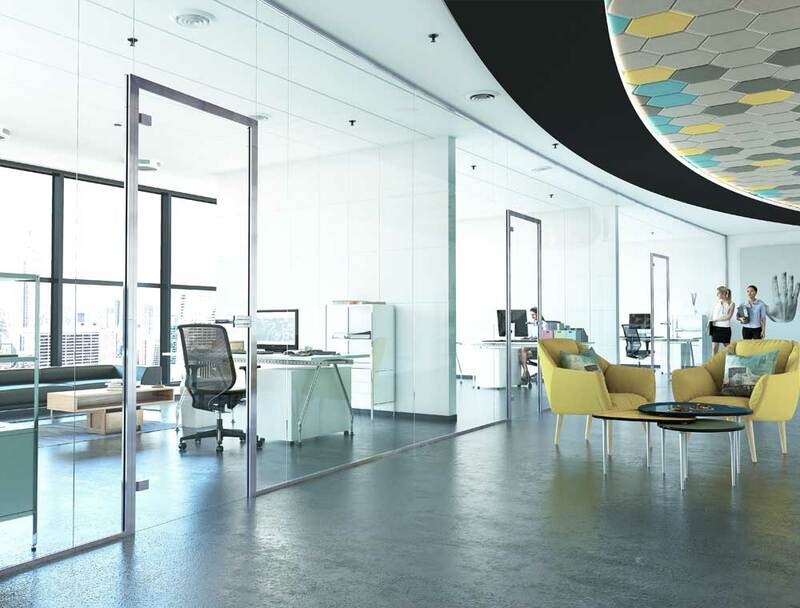 Salinox’s slim frame is an elegant aluminum profile which enables the creation of a glass opening door, wherever the wall’s thickness is to thick to accommodate a frame, or is simply not there. The immediate installation of the profile, on the wall’s vertical surface (without embracing the wall), creates a sturdy profile suitable for the support of a glass door, while with the addition of another fitment, it can create a door which can be mounted on glass surfaces. Ideal choice for professional spaces, as a separator between offices. It allows the creation of a glass wall with door openings. Contemporary design : Contemporary, industrial design which perfectly matches the aesthetics of today’s buildings.